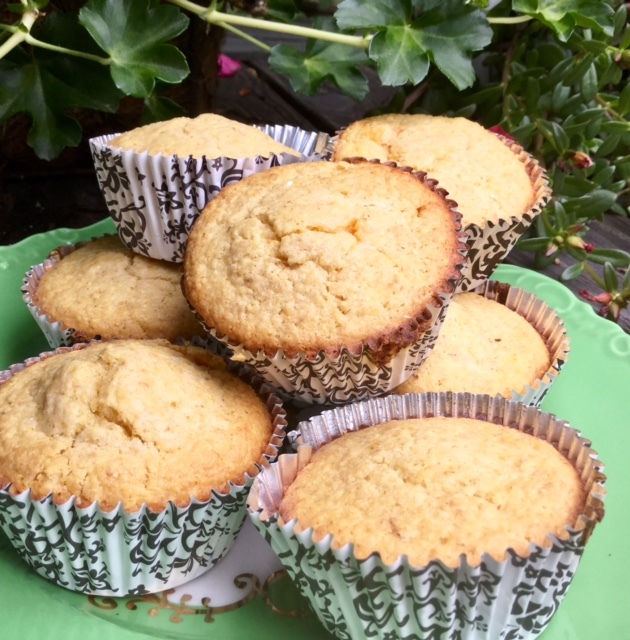 When I pulled a batch of gluten free oat flour muffins out of the oven over the weekend and saw that they were an immediate delicious hit - meaning my husband ate 3 - I decided that I should share the recipe. To this particular batch of muffins I added 2 chopped apricots and 4 chopped dates which I happen to have had on hand. The recipe for the oat flour muffins is a variation on the basic gluten free blueberry muffins that I posted on this blog several years ago. In that recipe I used buckwheat flour instead of oat flour. I've found that buckwheat is a good gluten free substitution for recipes that require whole wheat flour. Although both muffin variations are quite tasty, using buckwheat will definitely give you a denser baked good. Oat flour? It's pretty simple to make your own. I put pour a bag full in the food processed and grind it up. It's then stored in an air tight glass canister with a screw on lid. The oat flour will last a month or more. You can use quick cooking oats, or rolled oats. 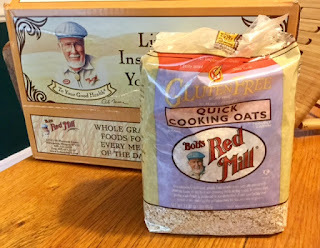 Rolled oats are denser and require a long cooking time when you prepare them for oatmeal. They also make a denser oat flour. Oat flour is a nutritious, delicious alternative for gluten free baked goods. White rice flour in gluten free baked goods lack texture and usually tastes rather bland, although gluten free baking in general has improved greatly over the last few years. The texture of this oat flour muffin can be a bit crumbly sometimes, but there are ways around that. If you bake the muffins using foil lined muffin papers it helps quite a bit. Also don't forget to spray the muffin liners with cooking spray before you fill them. And finally, allow them to cool down a bit before you try to eat one. I know, it's hard when they come right out of the oven. Preheat oven to 400. Line 12 muffin cups with paper liners or grease muffin tins. Mix together all ingredients. Batter will be thin so let the batter sit for a few minutes so it will thicken up. Then stir in your add ons. Fill muffin tins 2/3 full - the muffins will rise.